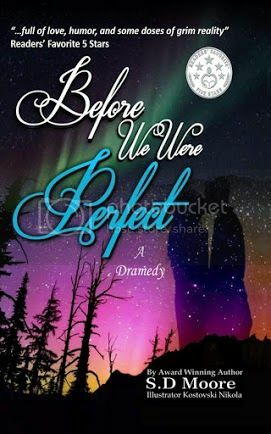 Before We Were Perfect has been adapted into an award-winning screenplay titled Perfectly Normal in Flagstaff. The screenplay won Best Feature Script in the 2018 Top Indie Film Awards and a 2018 Silver Screen award in the Nevada International Film Festival. Inspired by true events; Before We Were Perfect is a dramatic comedy about the Havreaux family and their ragin' Cajun uncle. Julz Havreaux is a beautiful young woman with imperfections who meets an imperfect handsome wounded warrior turned writer. Through comedic mishaps and drama, they discover that in spite of their imperfections they are perfect together. Contains adult themes, intense drama, sensuality, humor, nd love. 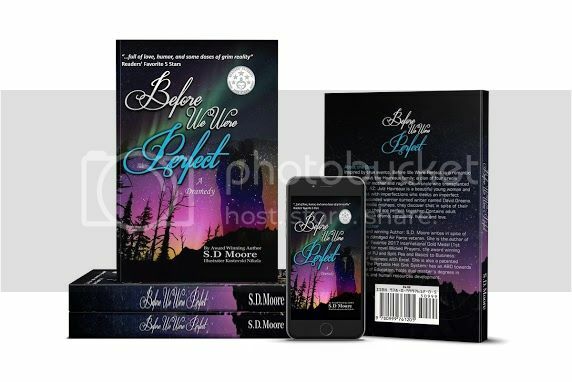 Multiple award-winning author: S.D. Moore writes in spite of being a brain-damaged, heart damaged Air Force veteran who also battles Lupus. She is the author of the award-winning screenplay, Perfectly Normal in Flagstaff which won a 2018 Silver Screen award in the Nevada International Film Festival. S.D. is also the author of Readers' Favorite 2017 International Gold Medal (1st place) winning horror novel Wicked Prayers, the award-winning Adventures of PJ and Split Pea and the workbook Basics to Business: Minding Your Business with Excel. She is also a patented inventor of The Portable Hot Sink System; has an ABD towards a Doctorate of Education, holds dual master's degrees in management and human resources development.